Home computer download internet Tricks How to download video from YouTube, Facebook, Vimeo, DailyMotion,etc. ? 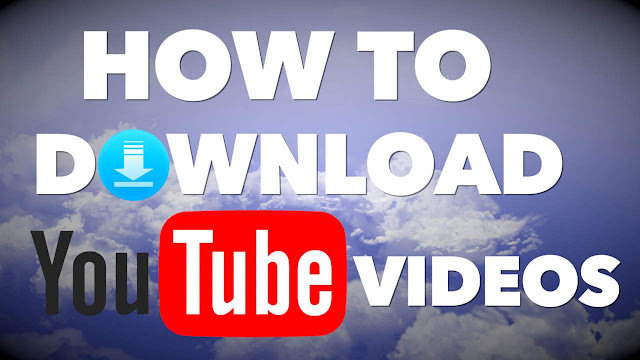 How to download video from YouTube, Facebook, Vimeo, DailyMotion,etc. ? This tutorial shows how to download video from YouTube Facebook, Vimeo, DailyMotion,etc. Since its creation, youtube , Dailymotion and others have made themselves indispensable to the eyes of most Internet users, who can access a huge amount of videos of all kinds, professional or amateur, for free. We are a lot to go to these sites, to see all kinds of videos, entertaining or practical, or to find the clips of our favorite songs and to constitute playlists in background. If the quality is below what exists on platforms such as Deezer or Spotify , these video herogeers are catching up with the diversity of their content, and there is a good chance that the videos or music you are looking for, even the most Exotic, are present on these. To listen to music on your computer is good, to be able to carry it on the move is even better. There are several solutions, software or online, to download the videos you like, Or extract the sound to copy it on your mp3 player. Many may seem confused or suffer from repeated bugs, which is why we have selected the most interesting products of the moment. Downloadable on this page . A software version that acts as a reference. It therefore requires an installation, frankly fast, but supports a lot of format. Despite its name, it is also valid for the videos present on Dailymotion. The software is only available in English but its interface is very easy to handle. Copy the link at the top, specify the resolution you want (as long as it is available on the original video). Choose a format from a long list: MP4, AVI, WMV , MOV, as well as many formats specific to some devices. Finally, specify a file backup and click "download". Once the conversion is complete, you can view the result by clicking on the "play" button at the bottom right, or fetch your file in the specified folder. You can also download videos from youtube with VLC media player that you can download on this page . To do this, after opening the latest version of the player, you have to go to media and then convert / save . After the new window appears, select Network . A new window will appear, you will specify the destination file with the extension mpg and you will be able to edit certain parameters such as the format in which will be converted the video, recording the raw stream, etc. Once Satisfied with your settings, all you have to do is click on Start . If you see that the download does not launch on the VLC media player, press play, which should start the download. The famous extension of Firefox , able to download any video present on a web page. If you have not already installed it , click on this link then, from the browser, add "to Firefox". Install it, restart Firefox, here it is done. The extension icon appears at the top left of the interface (the three red, blue and yellow balls). It will activate as soon as it has located a video on a web page. From there, go to the video of your choice, then click on the icon and choose the format of your choice: MP4 (240, 360 or 480p), or FLV. The download will start automatically, you will only have to recover the file in your downloads folder. Chrome climbed very quickly in popularity, so it was also entitled to a dedicated module , working on the same principle. Fluvore is the most used tool for downloading videos online. It allows you to extract videos from Youtube, but also Dailymotion, and other video hosting platforms . You can convert videos to different formats: MP3 , AVI , MOV , MP4 , 3GL (for mobile phones) or FLV , the most common flash format on these platforms. Its advantage is its very simple interface. You simply have to copy the URL of the video you want to download into the top bar, then choose the desired format before clicking on "Convert and Download Video". The conversion is fast, about thirty seconds, after which you will only have to download converted file. Same principle as Fluvore, Keepvid allows you to download videos from various video platforms. The tool works with the Java software , which will have to be downloaded if necessary and activated. Copy the link to the bar at the top of the page, then click on "download". You will then have the choice between several formats: FLV (240, 360 or 480p), MP4 (up to 480p), WebM (360 or 480p) and of course MP3. Simply click on the format you want, the download will start automatically. A priori it works for all videos.